10 most beautiful places you should visit! The world is beautiful. It is full of wonderful places that most of us do not know they really exist. That’s why we have some confusion for selecting to travel places. If we have some knowledge about the wonderful places in the world then we can take a decision without any confusion. Today I am giving the short description about the 10 most beautiful places in the world. I would say these 10 most beautiful places you should visit! Whitehaven Beach is called for its white sands. 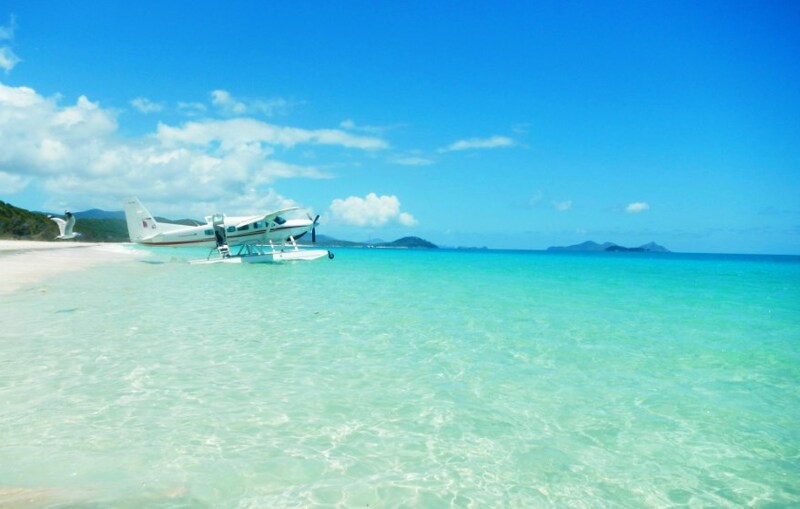 The Beach is a 7 km stretch along Whitsunday Island. The island is passable by boat from the mainland tourist ports of Airlie Beach and Shute Harbour. The Beach was named the top Eco Friendly Beach in the world by CNN.com. Dogs and cigarette smoking is prohibited. Venice is a shelter on a lagoon, and it’s not only wonderful, but also a preservative. In fact, Venice has maintained its beauty for more than 600 years. The city has 118 islands and more tourists resident. The beauty of venice city is amazing. The tallest and the oldest building in the city is the Campanile, which was built 325ft tall. To reach the top, people take a lift, but in the old days the Roman Emperor Frederick III rode a horse to the top. St Mark’s Basilica and the Piazza San Marco are also popular attractions in Venice. The Sphinx is the world’s largest monolith statue that stands 241 ft long, 63 ft wide and over 66 ft high. It was built over 4,500 years ago. Though, the facts about the exact date when it was built and by whom are still unknown. But the only thing I can say is that it’s incredibly mysterious place and you can spend hours here without even noticing it. Mù Cang Chải another beautiful place. It is managed to be one of the most breathtaking spots in Vietnam, with terraced rice fields and mountainous landscapes. Not only the majestic and beautiful terraces, but you can also learn the unique and rustic life of H’mong ethnic group, a poor life but warm-hearted, a rare thing in the modern world. Brecon Beacons offers approaches to rolling hills, Medieval castles, and romantic waterfalls. If you are interested in rolling hills and want to see medieval castles and waterfalls you can go to the Brecon Beacons. What comes to you first when you think of China? Perhaps the answer is the Great Wall. Whoever comes to the Great Wall of China will be impressed by its magnificent and grandness. Its total length of over 10 thousand kilometers and it has been divided into several sections. Those sections are Badaling Great Wall, Mutianyu Great Wall, Jinshanling Great Wall, Simatai Great Wall, Juyongguan Great Wall etc. Skye is a truly magical place. The island has countless ways to enchant you, with its mountain ranges, miles of dramatic coastline and captivating history. Bring your sense of adventure! you can also see many of Skye’s most majestic geological features., such as the Old Man of Storr, the Quiraing and the Cuillin. The island has a wealth of history, from prehistoric sites to brooding castles. Learn about long ago feuds of rivalling clans, Jacobite battles, and the devastation of crofting communities during the Highland Clearances. After a busy day of exploring, the island’s town and villages are welcoming places where you can try tasty local fare in restaurants. Havasu Falls is heaven on Earth. This is an absolutely most beautiful waterfall located in a remote canyon of Arizona. Each year thousands of people are going to visit the spectacular and attractive waterfalls. The Havasupai are intimately connected to the water and the land. This blue- green water is blessed to the Havasupai. Raily Thiland is a magical place only enterable by boat on a small thai peninsula. You can Spend your day’s on rock climbing the limestone cliffs, exploring vast cave systems, or swimming to nearby islands. The Taj Mahal in northern India is a wonderful white marble gravestone.The Taj Mahal is regarded as the jewel of Muslim art in India. It is the perfect location for worship and tourism.